Do I Need a License To Operate on Private Land? Hello, I want to know if we can trade with our mobile catering van on a privately owned car park or do we need a license? Comments for Do I Need a License To Operate on Private Land? Any land has planning permission for its usage for example residential usage, A3 restaurant usage and so on.you cant trade from private land unless its been designated for that purpose. Bolton to trade off private land? Surely this can't be informed as not on council tended property. Why do I need a street traders licence in Bolton to trade out of my catering van on private land? Surely this can't be inforced as will not be on council tended property. Can I sell flowers in my front garden without planning permission but with landlord's permission? The local council can suggest that you pay for STL if you are trading on private land. A street trading license is exactly for trading on the street, but each council has a different approach. However I found this under street trading exemption on a council website. trading on private land you may not need a consent. To confirm the situation you are advised to contact us. The landowner may need planning permission and you are advised to contact the Council's Planning office. Let me know how you get on, but my advice is to always check with your local council, to get up to date advice. Many councils seem to be demanding STL's even if an MCU is operating on private property such as a diy stores car park. Can they do this? I appreciate a requirement for planning permision and registration but a STL as well is making business commercially unviable. You can't trade on private land if you do not have the correct planning permission. As long as you have permission to trade on private land i.e. car boot sales or markets. That’s all you need to trade on private land. If you intend to trade in public places then you will need to get either a hawkers or street trading licence.To make sure speak to your local council. what other licences do you need ? Is that all you need to trade on private land? A health & safety certificate, would you not need a traders licence or is that just if you are trading on council land? 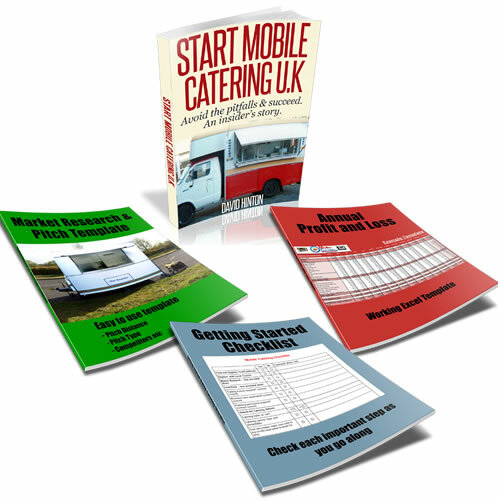 I to am considering buying a catering trailer but I'm a bit confused about what licences you need for trading in different places. I'm thinking maybe private land through the week and markets/carboot sales on weekends. You can trade on private land as long as you have the permission of the landowner. However you will still need to register your food business with your local council before you begin to trade. From here they will come out and inspect your food trailer and make sure that you have a valid food and hygiene certificate.